Classic Tropicana Hills is placed in Kochi. This project comprises of all amenities that today's property buyer would aspire to have. 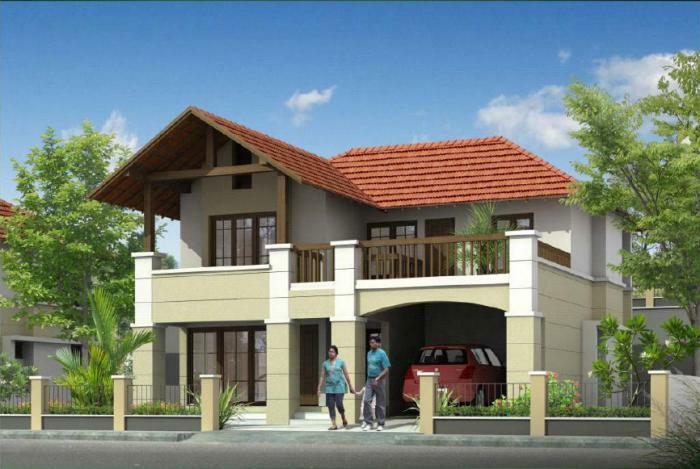 Classic Tropicana Hills is a part of the suburban locality of Kakkanad. Kakkanad is linked to neighboring localities by wide roads. inhabitants of the locality have easy access to community utilities like schools, colleges, hospitals, recreational areas and parks. The facilities inside the project are well designed. Readily available housing options here include villas of different dimensions. The area of Property available in this project varies from 1854 sq.ft. to 2676 sq.ft. Classic Tropicana Hills floor plan provides best utilization of the space. From stylish flooring to airy balconies, standard kitchen size and superior-quality fitments, every little detail here gives it an attractive appearance. The master plan of this project includes a large number of desirable amenities that collectively guarantee a hassel-free way of living. Fenced play-area has been provided for kids. Complete electric supply has been ensured with complete security via high-quality wires and PVC conduits. Safety is certainly one of the biggest concerns while purchasing an home. Owing to its security provisions, this project is a charming dwelling for you and your family. Classic Homes, the progeny of Classic Constructions, has been in the business of construction and real estate development for the past two decades.A background in engineering, a love for architecture and traditional business values have helped Classic Homes to grow from strength to strength. At Classic Homes, modern comforts and lifestyle amenities are effortlessly blended with age old building practices. Our designs are based optimization of space, comfort and co-existence with the elements of nature.Homes nestled in serene surrounding that have a classical appeal is what we aim to create. The quality of construction is guaranteed. We go beyond construction to ensure the quality of your life in a Classic Home. RCC framed structure. Foundation as per structural requirement. Walls with block masonry. Porcelain tile for the entire apartment. Vitrified/Granite tiles for lobby and common area. Ceramic tiles for floors and glazed tiles up to height of false ceiling. Concealed pipes and CP fittings. Hot and cold water taps with hand shower and piping for geyser in all bathrooms. Wash basin with pedestal in dining space. Teakwood main door and frame with melamine finish. Other doors with hardwood door frames, paneled internal doors with paint finish. All windows and ventilators in hardwood with enamel paint. Counter with black granite top and stainless steel single bowl single drain sink, glazed tiles above counter for a height of 60cms. Provision for exhaust fan, water purifier, washing machine point in work area/utility/balcony. Putty and premium emulsion for internal and ceiling. Exterior emulsion for external walls. Enamel paint for wood work and grills. All round compound walls surrounding the community. Guard room near main gate 24 hours security. Concealed PVC conducts with copper wiring of finolex or equivalent. Adequate light points, fan points and power points. DBs ELCB and MCBs and Premium modular switches of MK/Legrand or equivalent . Telephone points and cable TV points in dining and 2 bedrooms. AC points in all bedrooms. Independent KSEB meters for each villa. Internet points provided in all bedrooms. Ask from 1 other people who enquired about Classic Tropicana Hills. Review of Classic Tropicana Hills, Kakkanad? Its price, location, builder etc. Review of Classic Constructions, Kakkanad? construction quality, trustworthy, delivery history etc.? Review of Classic Tropicana Hills, Kakkanad location? neighbourhood, connectivity, schools etc.? Comparison of Classic Tropicana Hills, Kakkanad to nearby projects? Is it rightly priced? What is your feedback on this Classic Tropicana Hills, Kakkanad? Depends on brand name and complete the project in time etc? Will this be a better option for investment or to live in Classic Tropicana Hills, Kakkanad? Can you give some suggestion? Is the Classic Tropicana Hills, Kakkanad has more potential in terms of capital appreciation, ROI, Rentals, Proximity to social infrastructure etc?